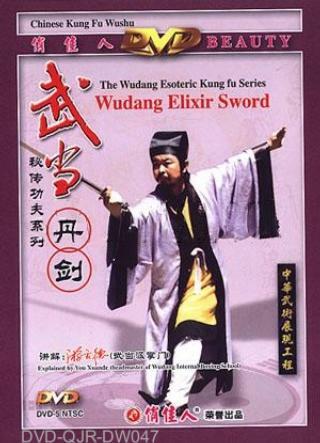 Wudang Swordplay has tremendous influence in Chinese Wushu world. It is the famous internal kung fu and has the tradition, which handed down secretly in a line. The main technical characteristics are as followings: It belongs to the elixir school series, its techniques including pointing, titling, upper cutting, parrying, clouding, slicing, sweeping, piercing, blocking, circling, leading, chopping, pulling. The movements are clear and distinct and connections are smooth and natural. When practicing, your internal energy and your external performance should be well coordinated and make the force flow along with the sword to merge the sword and the body into one.